Schönox DSP - HPS North America, Inc. Wear rated, cement based self-leveling compound and concrete topping designed for a variety of applications over suitable concrete from retail environments, restaurants, public buildings, entry ways, offices to warehouse or manufacturing areas with moderate industrial loads. 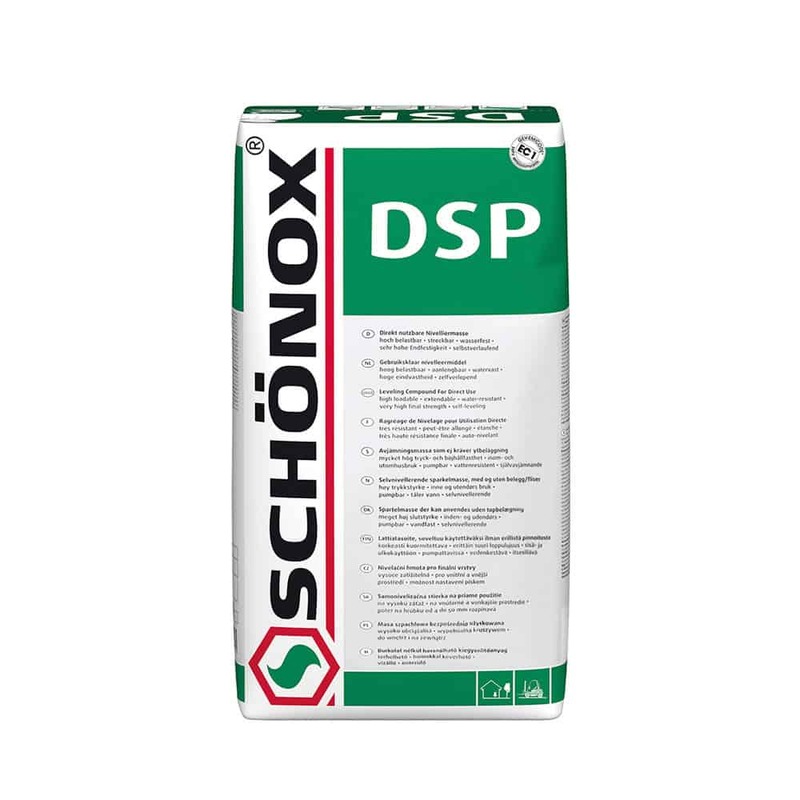 Schönox DSP provides an extremely dense and durable surface to be sealed or polished in interior and exterior areas. Schönox DSP can be installed above 1/8“ up to 2”.